Photo Courtesy: Twentieth Century Fox Film Corporation. 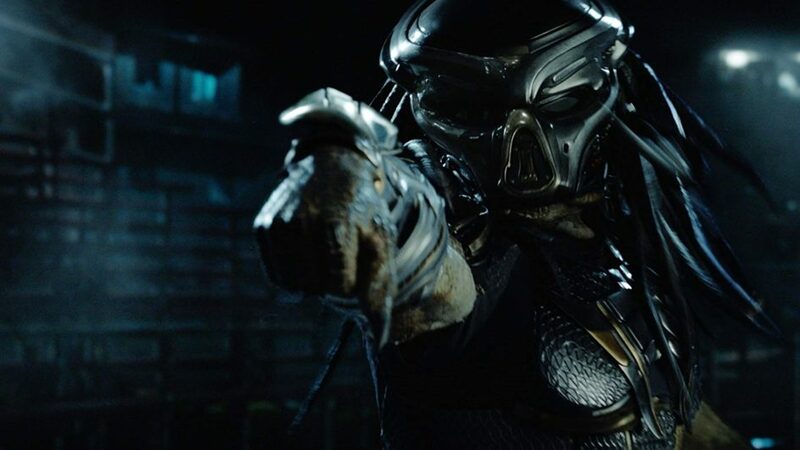 I thought seeing The Nun would be great, but now we have another contender for scary movie of the moment: The Predator. Is it just me or do they think that when they put “THE” in front of their title, it makes it scarier? I went to see The Predator and came out hoping they would make another sequel to this sequel. It was actually a good scary movie, which made me so happy that I didn’t want to leave. After all, this series of movies started with actor, former governor Arnold Schwarzenegger saying, “Get to the chopper.” I have to admit that I wasn’t scared while watching The Predator, but with this movie, it didn’t matter. Now to the question of which of the characters of the two scary movies would actually win in a fair fight. Let’s examine The Nun. Her attributes involve being able to possess souls, moving objects with her mind and burying priests alive. She is very tricky and malevolent. One fault is that she isn’t as scary as she thinks she is. Dirty, long nails are a little gross, but nothing a pair of nail clippers and some soap can’t cure. The Predator, on the other hand, has no soul as we know it. The creatures have lots of cool tech and they’re not afraid to use it. They are imposing and like to collect skulls with spines attached, if possible. This warrior tribe has visited Earth many times. While humans seem weaker than the Predators, we always get in their way. The Predators, however, did survive just about everything, including facehuggers from Alien. Granted, that one Predator didn’t live, but as a species, they survived. Lastly, one of the Predator’s best moves is flight. When they start to lose a fight, they usually get in their ship and run. You might call that cowardly, but it works for them. Oh, and they can be relatively invisible and can see your heat signature, while wearing their cool helmets. And lasers. Why did they have to have lasers? If I look at the the Nun, she is a slippery opponent. She likes to hang people with her mind, but it seems to be a little hit or miss. How would our Predator handle the rope around its neck? Since he has multiple sharp weapons, I think he could make short work of that rope. How would he counter? He would try to shoot the Nun with a laser, only to realize there is no heat signature. Predators seem to shoot first and think about it later. Since the Nun relies on scaring people, the next move would be to scare the Predator. After all, who isn’t scared of a creepy being? Ah, but aliens, especially, aren’t scared by old ladies, so the point goes to the Predator. Not scared to death. In fact, not so many people are scared by that Nun, after all. How does the Predator get rid of the pesky Nun? He doesn’t. Since she isn’t in a real body and can’t really compete with him at all, he can just ignore her. I give it to the Predator. 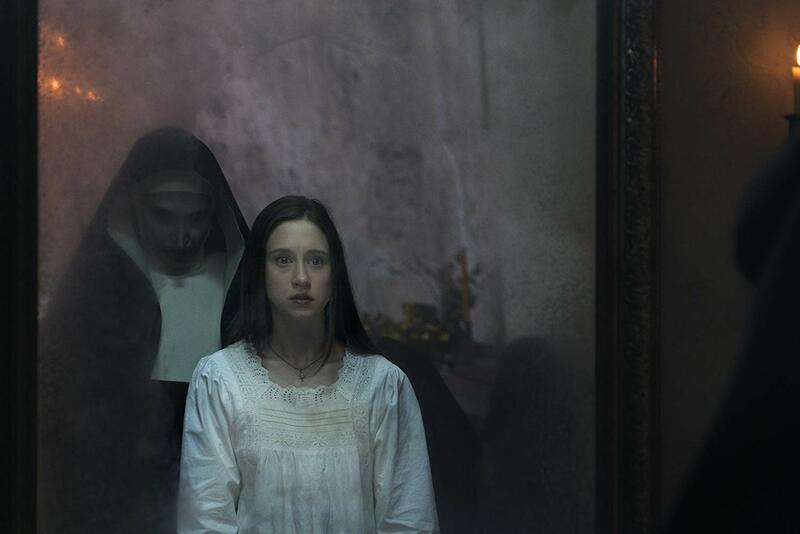 The Nun was touted to be the scariest movie ever, but most of the people I talked to weren’t scared at all. Whereas the Predator series knows what it is and tries to find characters that are entertaining and a storyline that keeps your interest, along with some cool effects.